Every year YSEF offers grants to the YS community, administrators, teachers and students to fund new equipment, educational experiences and meet student needs. The York Suburban Education Foundation is an independent, non-profit organization providing funding for innovative programs that enhance the educational experience and foster continued academic excellence for district students. YSEF has awarded 136 grants totaling $374,744.96 to teachers, administrators and students since its inception in 2008. Funds are made possible by donations from individuals, corporations, foundations, and community partners. For more information, visit www.ysef.org and follow “York Suburban Education Foundation” on Facebook. Below is a video by Jason Plotkin highlighting some of the 2016 grant recipients. Press the Read More button for teacher feedback on how the grants have directly impacted the students at YS. 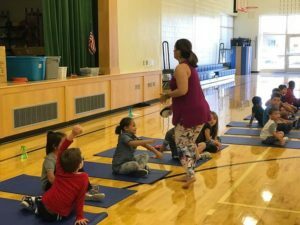 First graders at VVE pilot a yoga-mindfulness program. York Suburban Education Foundation from Carter Fry on Vimeo. 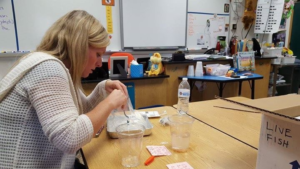 Mrs. Green preps trout eggs for classroom grant. The York Suburban Education Foundation (YSEF) is excited to follow YS middle school science teacher Kathleen Green’s seventh grade classroom this year. Green successfully wrote a grant to participate in the Trout in the Classroom program and her trout eggs arrived the first week of November. The Trout in the Classroom program is made possible through a unique partnership between PA Fish and Boat Commission and PA Council of Trout Unlimited. This partnership, coupled with assistance from local conservation organizations, was created to introduce Pennsylvania students to coldwater resources and their importance to all communities. The partnership also provides brook trout eggs, trout food, technical assistance, curriculum connections and teacher workshops each year. Press Read More for a complete list of all the grants awarded. 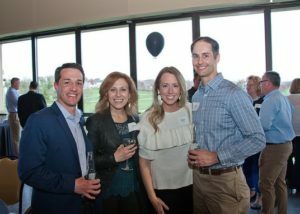 YSEF is an all volunteer organization, and we are fortunate to have a community of strong supporters that share a passion for enhancing education to benefit the students at York Suburban. We invite you to join our movement by sharing your talents. Click the link below to watch a video on the Impact Closets installed at all 6 buildings in the district. Thanks to the efforts of the student-run Impact Foundation, a committee of YSEF, no child in the district lacks the basic essentials for school and home. Supplies such as toiletries and clothing are available because at YSSD, students help students. 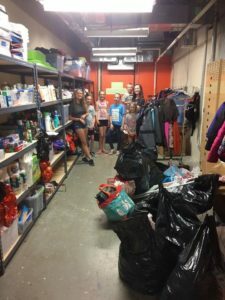 YS Students sort donations and set up an Impact Closet.